On a planet where 71 percent of the surface is covered by water, the oceans are critical for life itself. They feed us, regulate our weather patterns, provide over half of the oxygen that we breathe, and provide for our energy and economy. 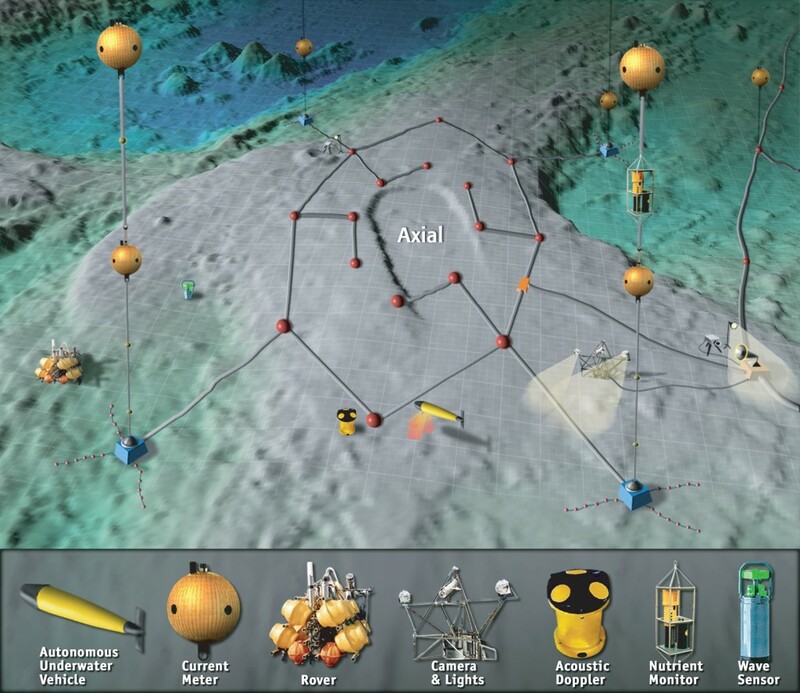 Yet only 5 to 10 percent of the ocean floor and of the waters beneath the surface have been explored and mapped in a level of detail similar to what already exists for the dark side of the Moon, for Mars, and for Venus. GIS technology, which has long provided effective solutions to the integration, visualization, and analysis of information about land, is now being similarly applied to oceans. Our ability to measure change in the oceans (including open ocean, nearshore, and coast) is increasing, not only because of improved measuring devices and scientific techniques, but also because new GIS technology is aiding us in better understanding this dynamic environment. This domain has progressed from applications that merely collect and display data to complex simulation, modeling, and the development of new research methods and concepts. The amount of data being collected about the oceans presents a grand challenge. 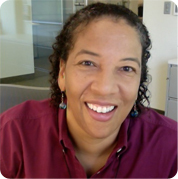 As a company with the mission to inspire and enable people to positively impact their future through a deeper, geographic understanding of the changing world around them, Esri recognizes that this understanding must involve a strong commitment to the oceans. And that’s why Esri recently launched a major Ocean GIS initiative across the entire company. The team supporting this initiative is comprised of professional services staff, GIS software engineers, project managers, instructors, business partners, and many others. The Oceans GIS initiative has been motivated in great part by the need to provide effective mapping tools and techniques to respond to recent disasters such as the Deepwater Horizon oil spill in the Gulf of Mexico and the Tohoku-Oki earthquake and tsunami in Japan. It is also motivated by a sincere desire to assist in the implementation of the US National Ocean Policy, particularly in the area of coastal and marine spatial planning (CMSP), for which GIS provides a crucial decision-support engine. As part of this initiative, Esri is expanding from an initial emphasis on nautical chart production and applications for commercial shipping, maritime defense/intelligence, and offshore energy (e.g., oil and gas, wind energy) to ocean science and resource management. Esri is pursuing a greater engagement with the ocean science community, as complex ocean science questions and ocean science data are increasingly used to inform the responsible use and governance of the oceans, as well as effective management and conservation. 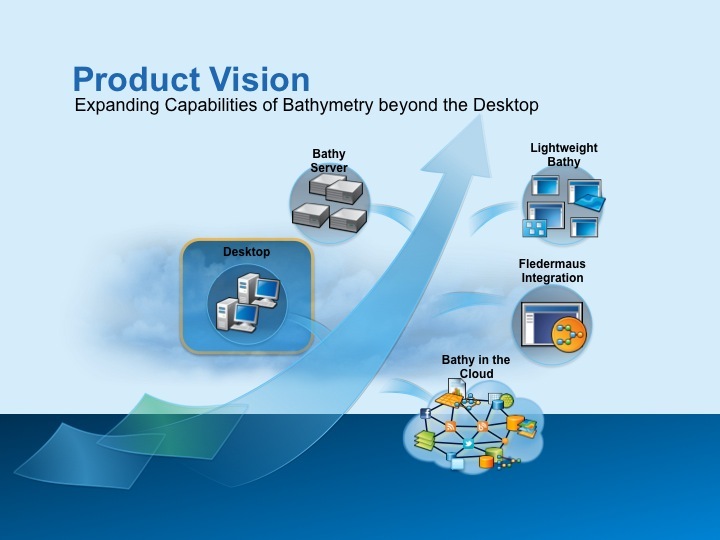 Esri’s vision for bathymetry in the cloud.